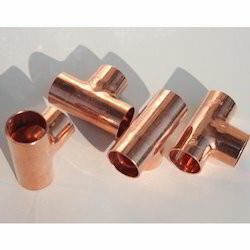 We are a leading name, which is engaged in manufacturing, supplying and trading a wide range of Copper Fitting. We are offering our clients, quality Copper Reducer. We are a leading name, which is engaged in supplying and trading a wide range of Copper Reducer. We are offering our clients, quality Copper Reducer. These are Used for refrigerator, water dispenser, air-conditioner, warm ventilation, central air conditioner controls system, building installation. 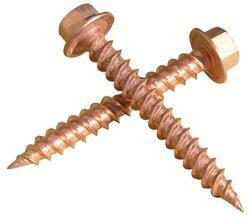 We are engaged in exporting a wide range of Copper Fasteners. We manufacture these Fittings under the guidance of our skilled experts. These weld fittings are highly acknowledged in offshore construction, petrochemical, engineering and oil & gas industries. These are available in different sizes and dimensions and can be made in customized designs as well. We are a leading name, which is engaged in manufacturing, supplying and trading a wide range of Copper Tee. These are Used for refrigerator, water dispenser, air-conditioner, warm ventilation, central air conditioner controls system, building installation. The Tees are used in diverse engineering applications and are in compliance with the ASTM, BS, JIS standard and the requirements of our customers. We are a leading name, which is engaged in manufacturing, supplying and trading a wide range of Copper Coupling. We are offering our clients, quality Copper Coupling. These are Used for refrigerator, water dispenser, air-conditioner, warm ventilation, central air conditioner controls system, building installation. Copper Fitting offered comes in precision quality construction finish and provide for lasting service usage. 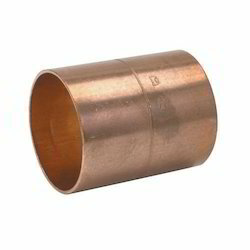 We are engaged in supplying and trading a wide range of Copper Elbow. 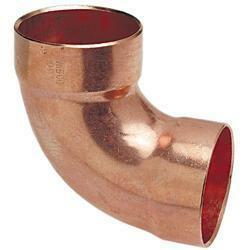 Our range of copper elbows is fabricated using the quality raw material. 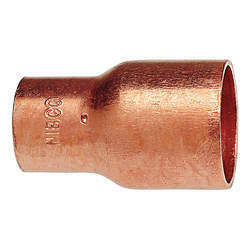 This range includes copper fittings, including plumbing fitting, air-conditioner pipe. Looking for Copper Fitting ?